This ISKCON Disciple Course is an online training program which is meant to help you deepen your understanding of guru-tattva and gurupadasraya within the multiple guru culture of ISKCON. It is designed for new devotees preparing to take initiation, but is also recommended for leaders, preachers councilors and educators in ISKCON. The course was developed over a two-year period under the direction of the GBC Guru Services Committee, with the combined efforts of leading educators in ISKCON. 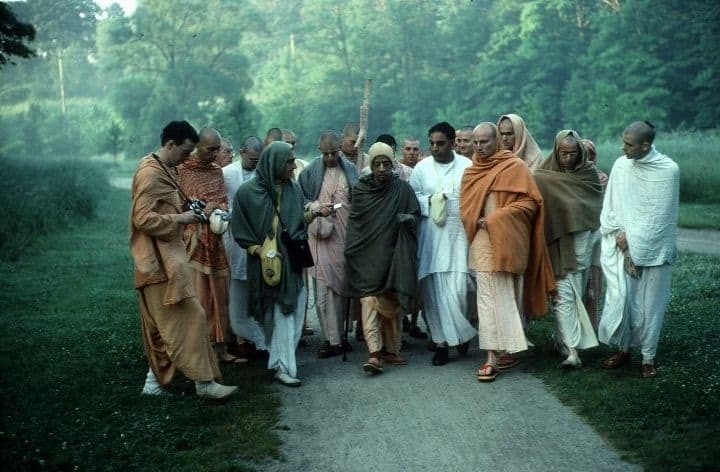 This ISKCON Disciple Course is based on the teachings of Srila Prabhupada and current ISKCON Law and gives reference to the writings from the broader Gaudiya Vaisnava tradition.